Picture perfect smiles aren’t reserved for the rich and famous. 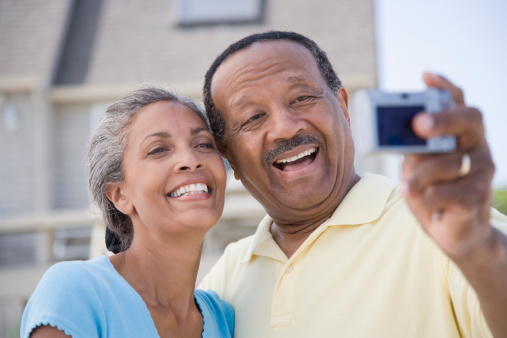 We can all have a camera ready smile with new porcelain veneers from Dr. Cofer. Expertly crafted and custom fabricated porcelain veneers can restore discolored or fractured teeth and even improve upon your natural smile characteristics. Porcelain veneers can quickly correct minor twists, overlaps, and small gaps too. If you’ve been hiding from the camera because of a less than perfect smile, schedule a porcelain veneers consultation with Dr. Cofer at Premier Family Dental today. Dr. Cofer is an experienced and trusted Waco cosmetic dentist, now proudly renewing smiles daily throughout Waco, TX, Robinson, Lorena, and the surrounding communities. What Are Porcelain Veneers and How Are They Placed? Veneers are actually a compilation of several thin ceramic layers which can replace damaged or compromised tooth enamel. To apply new porcelain veneers, about a millimeter of the original tooth enamel must be removed. This is essential to create room for the porcelain veneer to fit seamlessly over the tooth. The strength of the bond between the original tooth and porcelain veneer is critical to achieve the esthetic perfection you desire, as well as the correct functioning of the veneer alongside your natural teeth. Light-sensitive resin is placed between the enamel and veneer and the mixture is cemented permanently using a special curing light. Veneers are extremely versatile and can successfully repair tooth color, shape, and contour. They can also fix fractured teeth, gaps between teeth, and in some situations, hide minor bite-related problems. For many patients, superficial stains do not respond well to traditional teeth whitening or bleaching. In these cases, new veneers may also be the best option. Quickly regain the bright and confident smile you desire. Schedule your personalized porcelain veneers consultation with Dr. Cofer at Premier Family Dental today. Dr. Cofer is a highly qualified Waco cosmetic dentist, now delivering quality care daily throughout Waco, TX, Robinson, Lorena, and the neighboring areas. by: Dr. Rick Cofer at July 30, 2015 .